Shin Corp deal only a commercial one – really? Of course, what the PM said may make sense but still, it does not answer the question of how a Temasek-Shin Corp transaction can be just a ‘commercial investment’ in which the government of Singapore is not involved. 1. 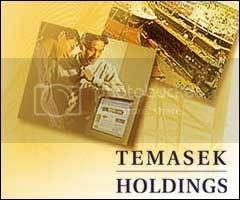 Is not Temasek run on public money? 2. And is not this public money contributed by Singaporeans? 3. Is not the government, elected by the people, the custodian of this money? 4. Is not the Minister of Finance (MOF), particularly, in charge of overseeing the use of this money? 5. Does it not follow then that any use of such money must be approved by the Government through the minister of finance? The question, obviously, is who ‘decide whether it has been good’? Temasek itself or the MOF? One would think, reasonably, that it is the MOF which would ultimately decide. Surely, the MOF cannot be saying that it does not want to be involved when a reported $2billion dollars has been lost – at least on paper! Even if it’s a ‘commercial investment’ (which itself defies logic), the MOF must get involved now – as the issue is no longer a commercial issue but also a political one, involving public funds. At a time when the government is raising GST to 7% (reaping a projected $4.5billion annually) to ostensibly ‘help the poorer singaporeans’, the govt’s seeming nonchalance about this loss of $2 billion by Temasek is disconcerting. The picture emerging, at least in my view, is one of the government distancing itself from the responsibility of the saga. How can the finance minister himself say it is a ‘commercial investment’ and ‘we’re not dealing with it’ when it involves public funds? It makes one very concerned to hear the prime minister and finance minister say this.